It's still pretty amazing to think that New Zealand was the first self-governing country in the world to recognise a woman’s right to vote. Through extensive post analysis, we at Zavy have found that content reflecting culturally relevant moments like this are extremely successful at attracting engagement, and subsequently, can lead to increased positive brand sentiment. And really, who doesn't like to feel as though their favourite brands have their finger on the pulse of social media? 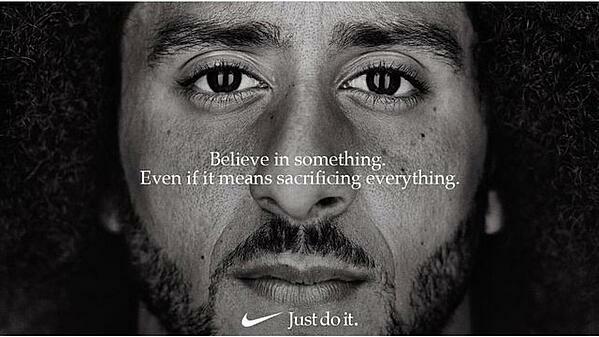 Aligning your company with movements such as Women’s Rights or #BlackLivesMatter as we saw with Nike last week (pictured below with Colin Kaepernick), can be polarising and sometimes controversial. But taking a stand on social issues is a direct way to reach people on a moral and emotional level, and we think that's pretty powerful stuff. There are many different ways to celebrate or acknowledge culturally relevant moments, and it should be done in a way that fits the voice of the company and takes into consideration how your customers feel. 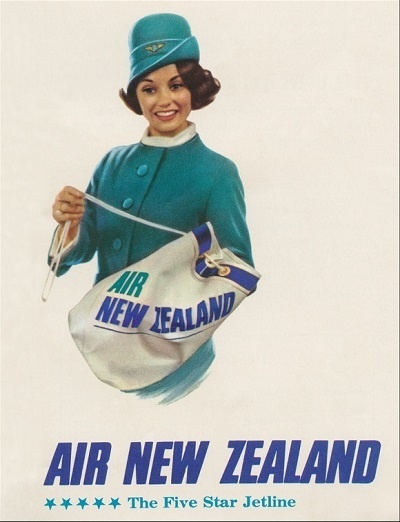 Air New Zealand's gorgeous video ad below is a great example of this. Air New Zealand is a top tier example of a company that does cultural moments well. 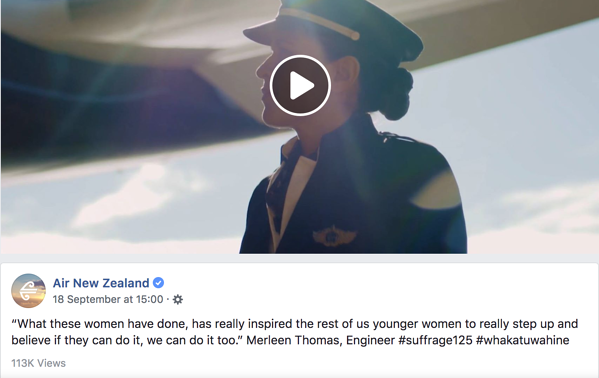 Their video showcasing the history of women in their company is no exception, with over 600 shares and 2400 likes. The post itself sits at 65% positivity compared to Air New Zealand’s average of 39%. Vodafone also chose to create a video supporting equal rights in the work place which has received close to 200 likes. The Spinoff chose to acknowledge the Women’s Suffrage movement with a thought-provoking essay on equal rights within Maori communities. Over 550 likes and 99 shares later, their post sits at 25% positivity, attracting comments both supportive and challenging of the article. Overall, Women’s Suffrage as a cultural moment has been highly celebrated by the public and companies alike, posts that have come out this week recognising and contributing to the conversation around women’s rights have enjoyed higher than average engagement and positive sentiment and all in all, has promoted the message and celebrated this historical milestone appropriately. Even the Sky Tower is illuminated purple for the next week to demonstrate its support for Women’s Rights in Aotearoa. Isn't is awesome being a Kiwi?